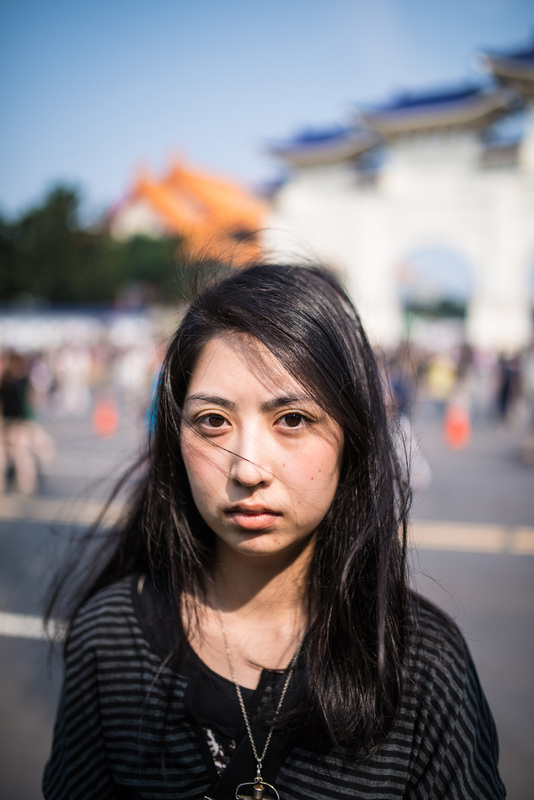 On March 18 some 200 Taiwanese, mostly college students, stormed the offices of Taiwan’s legislature, beginning a protest over a proposed trade agreement between the self-governed island and mainland China, which considers it a “renegade province.” The deal’s advocates, including Taiwan’s President Ma Ying-jeou who favors closer ties with the mainland, say it will boost trade and create jobs. But the protestors, who have remained in place for three weeks, their ranks swelling to as many as 500,000 on March 30, say the deal which was worked out last summer was never given appropriate legislative and public review. 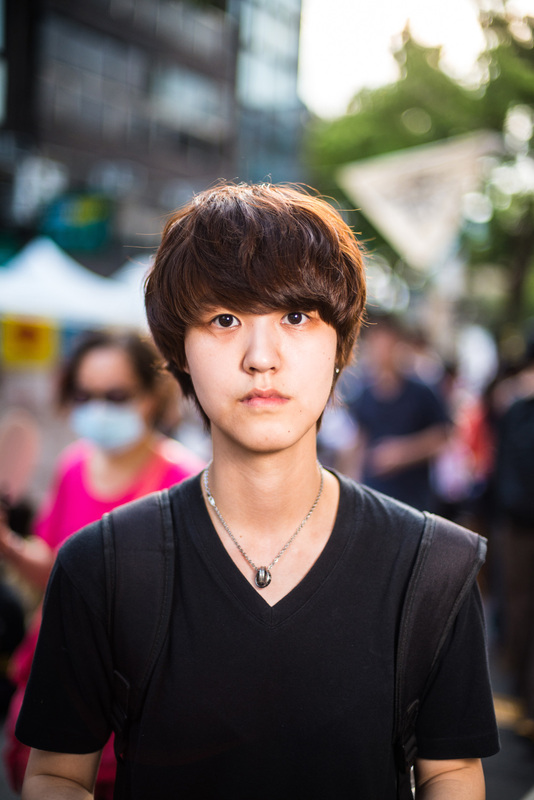 Some worry it will disadvantage Taiwan’s economy or pave the way for reunification with mainland. 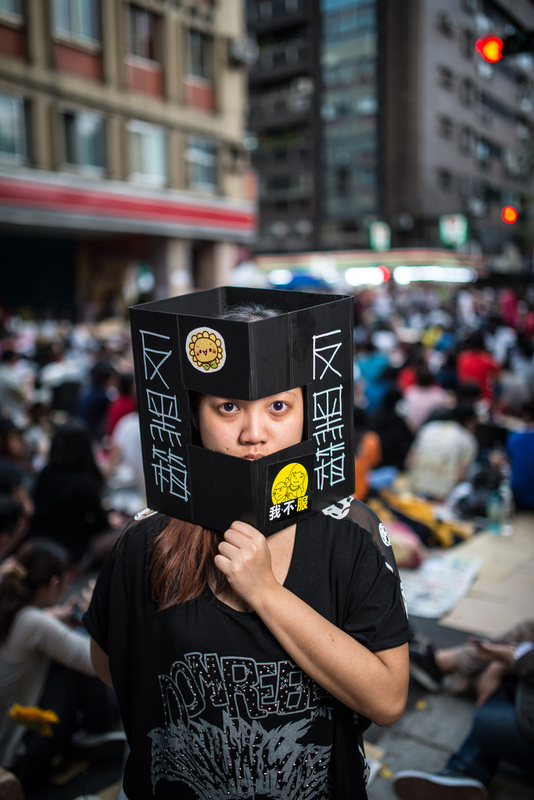 On Monday the Speaker of Taiwan’s legislature, Wang Jin-pyng, met with the protestors and offered a concession—passage of a proposed law to allow further legislative oversight of agreements with China to be promulgated before the trade pact is ratified. 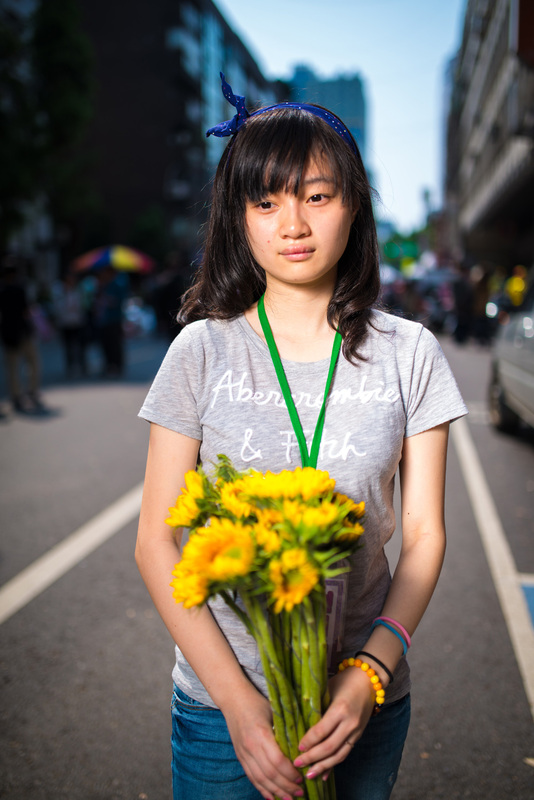 Following are portraits and interviews of members of the Sunflower Student Movement, photographed over the past two weeks by Taiwanese-American photojournalist Chien-min Chung. 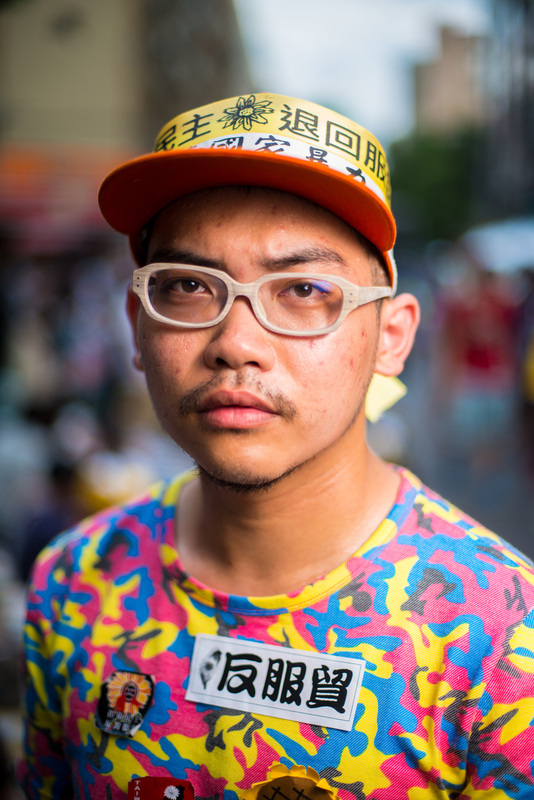 Interviewed by Pam Chen, the subjects of the photographs asked to remain anonymous. When the incident at the Executive Yuan happened, I felt that our democracy was being trampled upon. 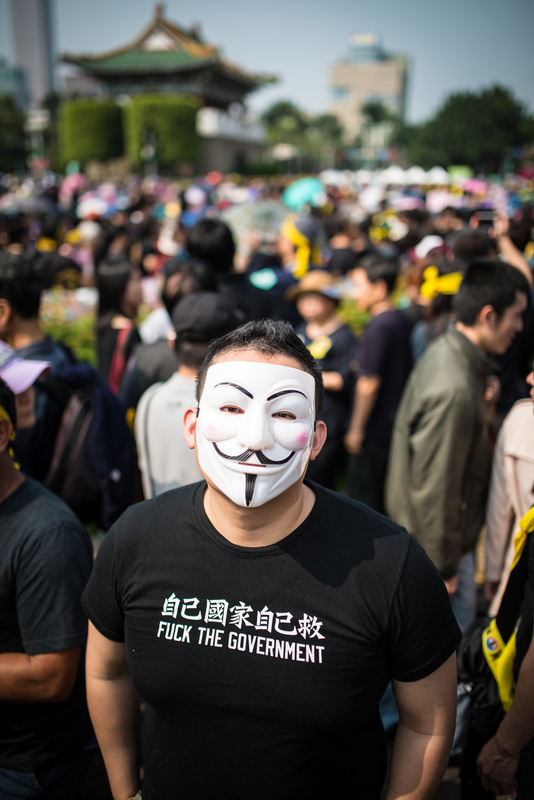 And that was what made me decide to come into the city, to help protect the protesters who are occupying the Legislative Yuan and to my do part defending our democracy. This is our country, and we’re the only ones who can save it. We’re not protesting because we’re against service trade agreements in principle. 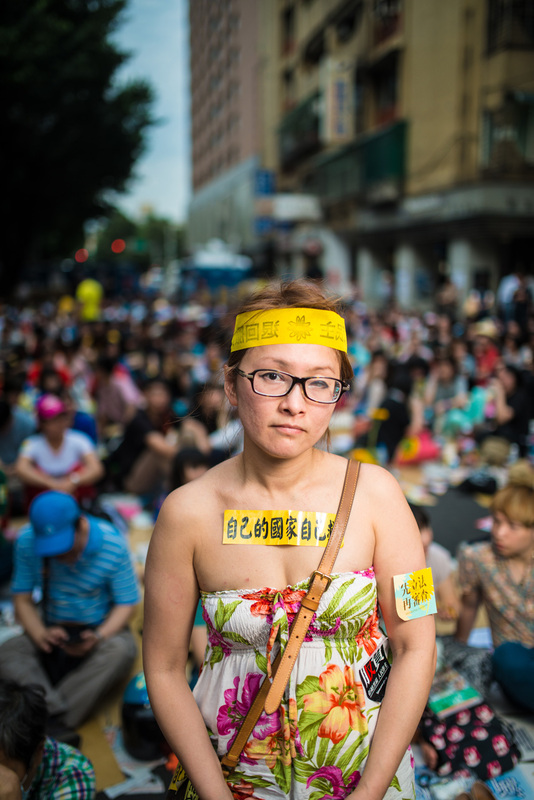 We’re protesting because of democracy, because the way the treaty was passed feels like a blow against the Taiwanese democracy that we’re so proud of. Some famous person once said that the worst thing you can do is to remain silent, to look on and do nothing. That’s why I’m here. Thanks. We’re still students, so we still have to go to class most days, and we came here from Chiayi, so we’ll probably have to go back tomorrow around nine or ten. We can only be here for a short time… The leader of the movement is only twenty-three. He’s not much older than us. I figured, if he can do it why can’t I? I think everybody ought to stand up and take part in the movement—even if they can only stay for a short period of time, that’s awesome, they should still do it. Everybody in my family works in service-related industries, so it didn’t take much to convince me to join. At first I just wanted to make my own voice heard, but now that I’ve been here for almost two weeks I feel that it’s a question of justice. That’s why I’m sticking it out. Being a part of this movement has taught me about the connections between democracy, justice, and the rule of law. When we have no checks and balances in our government, it’s the people who need to come out and make sure justice is done. It’s not that we’re against openness and free trade. It’s that right now we’re up against China, and China has always wanted to “unite” Taiwan, and pursues its economic goals with an eye to achieving its political aims. As far as economics go, we naturally want a better economy for Taiwan, but we have to be mindful of the possible political motivations of these things. So it’s not that we’re unwilling to sign treaties with China, it’s that we can’t accept it when our government does so without our consent and then afterward won’t let us revise the treaty. 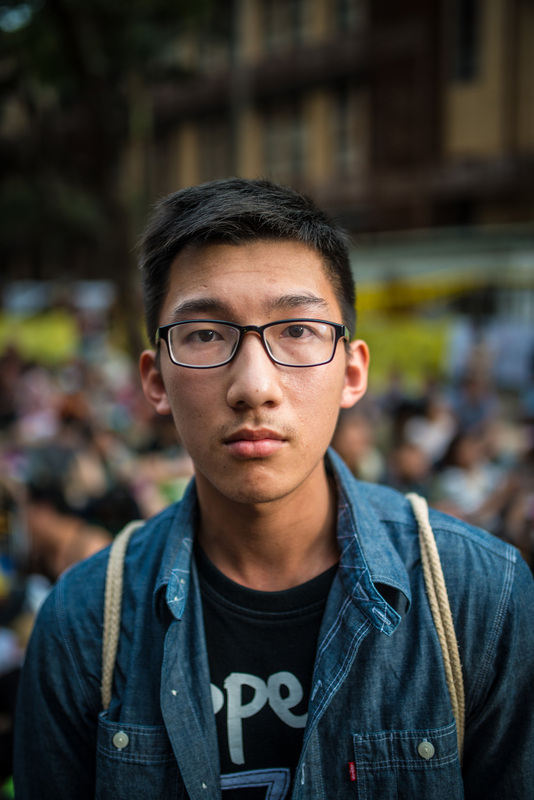 When the incident at the Executive Yuan happened, I felt that our democracy was being trampled upon, and that was what made me decide to come into the city, to help protect the protesters who are occupying the Legislative Yuan and to my do part defending our democracy. This is our country, and we’re the only ones who can save it. I feel that our government hasn’t really had our interests at heart. Regardless of what we’ve asked for, their replies have been so evasive—so we feel it’s important to sit here so that everybody knows what we want, so that those in power understand the needs of the people. That’s why we’re here. I want to say thank you to other people my age for coming out here and joining the struggle. It’s because of you that we’ve gotten the chance to make our wishes known. We might not have had any say in the service trade agreement, but we do have the choice to make them change it. 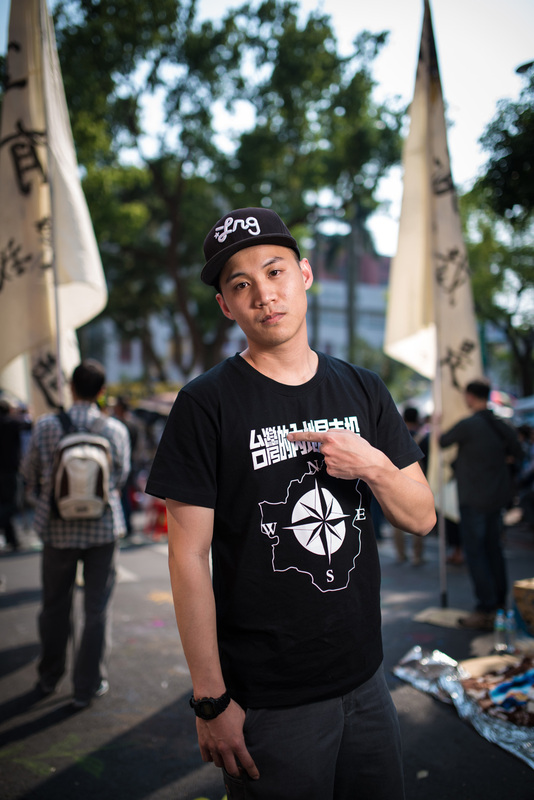 So I want to thank you all for being willing to come out and fight for our home soil, to fight for Taiwan. I think that the fact of the matter is that we’re two different countries, and we shouldn’t obscure the fact with the phrase “Cross-Strait.” I think that it’s my right, as a citizen of Taiwan, to have a say in whether we sign this treaty. In answer to the question of what I’ve found inspirational about the Sunflower Movement, I’ve been really struck by everybody’s courage. 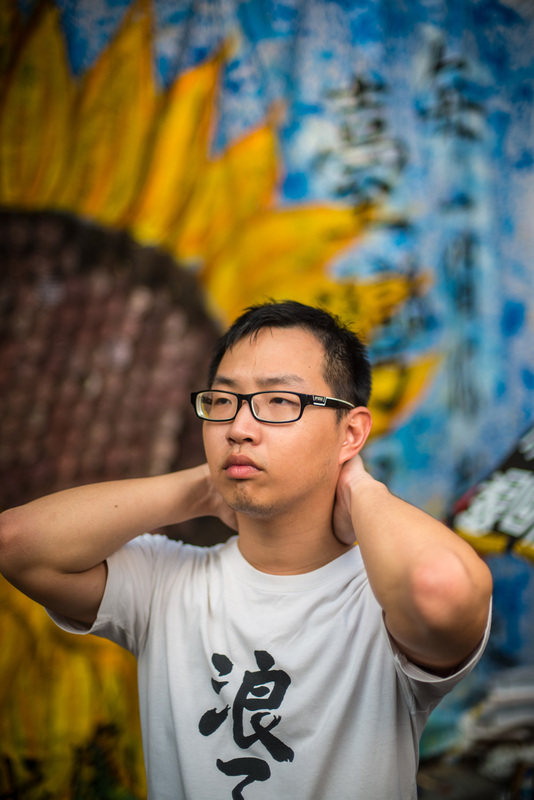 It might not have been right to break into the Legislative Yuan, but everybody’s fighting for their rights, and it’s better than staying home and doing nothing. 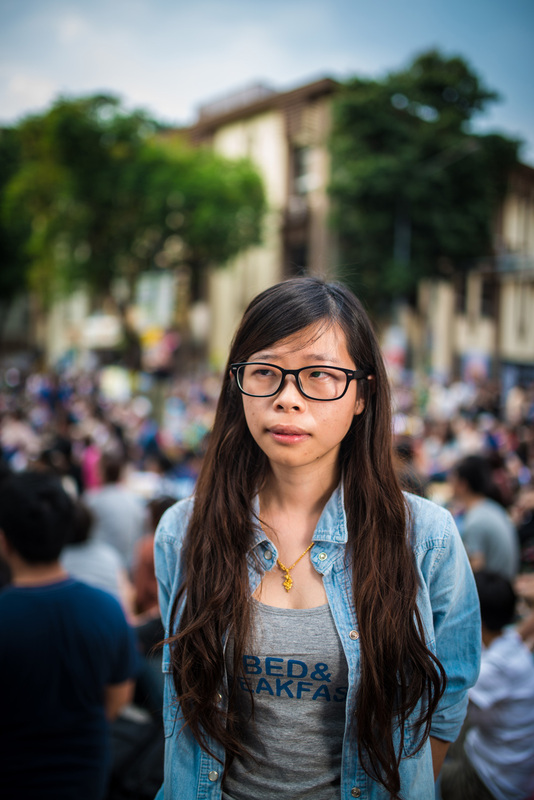 When I first learned about the protests against the trade pact, I didn’t understand why the protesters were so vehemently opposed to it, to the point of breaking into the Legislative Yuan, so I started Googling around trying to figure out why, and I found that some of the clauses in the treaty were really unclear. Then I learned that the treaty was passed after only a thirty-second review, which seemed really short. In any case, it was clear that the passing of the treaty hadn’t followed the normal procedure. Of course it’ll have a huge impact on Taiwanese industry, and I’m sure that for university students like us it’ll affect our chances of finding work after we graduate. 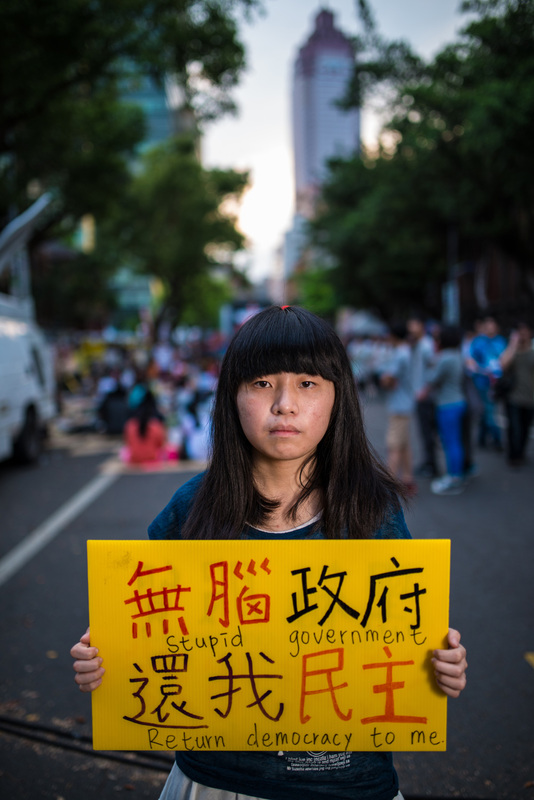 The reason I decided to take part in the protests is that the service trade pact is really important for Taiwan... 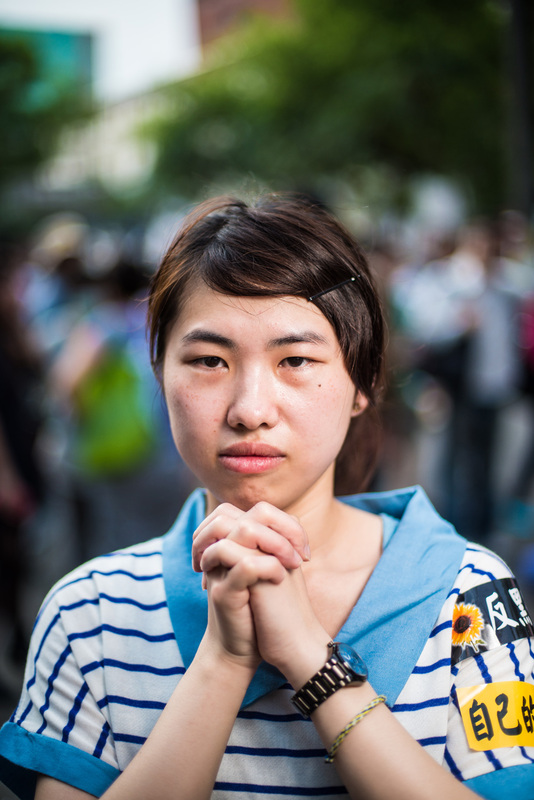 If the law passes, that could mean that the Republic of China is headed for destruction. Here on Taiwan, we’re citizens of the Republic of China, so I have to protect my country, protect our constitution... I hope that all of us can stand up and support the movement. This is our country—we have to protect it. I’ve been here for about two weeks. I wanted to do something for my country. I feel that the government hasn’t listened to the voice of the people . . . I mean, they passed [the bill] in only thirty seconds. It’s totally unreasonable.